Foreign firms in South Korea have often complained of being kept out of the loop when it comes to policy, including under the Moon administration, but recently the government has been moving to bridge the gap. A prime example was on March 28, when President Moon Jae-in held a meeting with leaders of foreign investors and related organizations at Cheong Wa Dae for the first time. Sixty-five representatives of foreign companies and organizations, including the chambers of commerce of US and European countries, attended the meeting held at the request of Kim. “As an ombudsman, I sometimes heard from foreign investors that the Korean government and public do not recognize foreign investors as ‘partners’ and they do ‘not welcome’ them,” said Kim Sung-jin, foreign investment ombudsman of Korea, in an interview with The Korea Herald on Monday. Kim said the South Korean government has been trying to send a clear message to foreign investors that it regards them as key partners in the nation’s economy. The ombudsman, who was appointed in August, formerly served as the chief of Public Procurement Service and a deputy minister at the Finance Ministry. The ombudsman system was launched in 1999 under the Foreign Investment Promotion Act to alleviate grievances and prevent conflicts between foreign investors and governments. The office was established within the Korea Trade-Investment Promotion Agency. Global companies doing business here have always been vulnerable to criticism for allegedly paying less taxes or sending back most of the money they earn here to their own countries. The current government, meanwhile, has been perceived as having issues linked to foreign investments low on their list of priorities. In a show of change, Moon held “candid and serious” talks with the leaders of the foreign companies, even foregoing the customary process of having the participants’ questions pre-submitted, Kim said. Describing the foreign firms operating here as being “in the same boat,” Moon praised foreign companies’ role in terms of not only economic but also cultural contribution -- by bringing in horizontal and gender equality corporate culture. During the closed-door meeting, also attended by top economy policymakers, foreign business leaders candidly shared their business difficulties, including regulatory redundancy, transparency of policies, labor flexibility and regulatory issues on specific industries, including chemistry, medicine, environment and cosmetics, according to Kim. He said Moon also pledged to have more dialogue with foreign companies during his tenure when possible. Globally, the inflow of foreign direct investment has been slow. Last year, global FDI stood at around $1.2 trillion, the lowest since 2009 following the global financial crisis. There have also been pessimistic outlooks for Korean FDI amid growing trade protectionism, the US-China trade conflicts and Brexit. Still, the ombudsman is not pessimistic about the outlook of FDI in Korea. “We don’t need FDI just for money. What we want is job creation and new technologies,” Kim said. 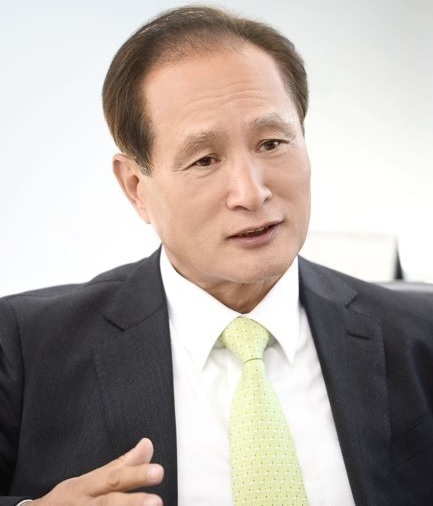 He said the government will make more policy efforts to lure foreign investment that can create more jobs and bring more new technologies to Korean industries. This year, the government considerably increased cash support for foreign companies from 6 billion won ($5.2 million) last year to 50 billion won. The cash support will mainly be given to companies which can create more quality jobs and bring in new technologies. In March, the revision of Foreign Investor Promotion Act was submitted to the standing committee of the National Assembly. The revision includes systematization of funds to promote foreign investment and online investment matching platform. It also includes the expansion of cash support and recognition of foreign companies’ retained earnings as FDI when it is used to reinvest in facilities.